The death of Libya's former leader Muammar Gaddafi "creates suspicions" of war crimes, says the chief prosecutor of the International Criminal Court. Luis Moreno-Ocampo said the ICC was raising the concern with Libya's National Transitional Council (NTC). Col Gaddafi was killed on 20 October after being caught by rebels in his home town of Sirte. NTC officials initially said he died in crossfire, but promised to investigate following Western pressure. 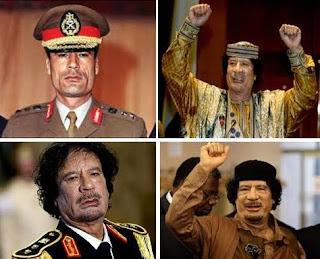 "I think the way in which Mr Gaddafi was killed creates suspicions of... war crimes," Mr Moreno-Ocampo told reporters.